In November 1998 an independent drugs tribunal found that Ireland under 21 scrum-half Tom Tierney had no case to answer for a positive test he had incurred nine months earlier. He had been en route to La Roche-sur-Yon with the 21s to play France in the Five Nations and, suffering from a cold, seemingly took an over-the-counter remedy that fixed his runny nose but landed him in a vat of hot water. At the time the IRFU were still feeling their way through the dark corridor that was professional rugby. Not only were they struggling with taking the right steps but the whole idea of having to put one foot after the other really didn't appeal to them. Amateurism had been their thing, their comfort blanket, and having it yanked off exposed all sorts of wrinkles. How to deal with a crisis was in that category. And with three positive tests popping up in quick succession the union were in a spin. Much later, the press conference in the old Berkeley Court - at which it emerged there was a three-ball of unfortunate events - had the vibe of a town hall meeting. The union were the county councillors, while we played the role of angry residents who had just discovered that planning had been awarded, not for a green waste depot but a tip head. It was brilliant craic. Tierney was reprimanded for his mistake. Even back then it already had been clearly established that athletes were responsible for what they ingested. Yet lots of them hadn't a rashers' about the importance of reading and understanding what it said on the tin. And the union hadn't the first clue about getting that message out from top to bottom, for if they had then Tierney would have been taken on a tour of the country telling schools players that that's where due care needed to start. Otherwise they could end up looking like him. Perhaps the IRFU contracts back then referred to the players' responsibility to be pharmacologically pure as the driven snow. They probably referred also in some clause to not bringing the game into disrepute. What was certain, however, was that below the line there was no handbook on how to stay on the straight and narrow. There will be now. Driving into Leinster's UCD headquarters last week to interview James Lowe we came across a steady stream of players driving out onto the Clonskeagh Road, their day's work done. It's a busy junction, and negotiating your way in and out invariably involves co-operation with other road users, on two or four wheels. Or pedestrians. Some of the blue stream were piloting their sponsored cars. So much could go wrong on that little stretch of road we wondered if the sponsors had stated the obvious, and warned the lads of their extra responsibilities. So the following could easily unfold: player has a near miss as he's texting and driving at same time. One pissed-off motorist goes away with an image of the sponsor even if he hasn't a clue who the player is. A little while later the same player pulls in to grab a coffee. He's wearing his Leinster gear. While waiting in line he gets a call about some bit of scandal or other regarding one of his team-mates. His conversation is going to be listened to by anyone within earshot. The way he deals with the staff behind the counter, who are almost certainly earning a fraction of what's he's taking home, will form another lasting impression for relevant witnesses. And you know what? He could head out the door and back into the car, with phone glued to the side of his head, blissfully unaware that he had passed on a clear impression of himself, his sponsor and Leinster rugby. The above sequence of events is mostly fabricated, but hardly fantastic. Leinster lads may well be role models all, but in the wake of events in Ulster they will surely be given a refresher on the A-Z of what it means nowadays to be an identifiable, professional rugby player. Connacht and Munster staff will be on the same learning curve. And Ulster? Well, they could write the book on it. When Bloodgate tore Harlequins asunder in 2009 there were a few coaches, players and medics on the circuit who under their breath were uttering the words 'there but for the grace of god ...'. 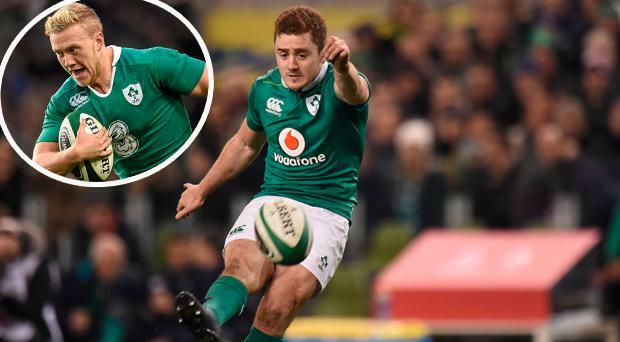 And in the wake of the Belfast trial there are sportsmen around the country expressing the same sentiment, if not regarding the incidents of the night itself - for which Paddy Jackson and Stuart Olding were unanimously found not guilty on all charges - then in the text traffic that followed. You might think it's not the function of sports bodies such as the IRFU or its provinces to educate players on how to treat other human beings, but once they accept money from the commercial world to buddy-up then it's an area they need to control. It fundamentally alters the way players live their lives, for there is no downtime from representing the brand. If you were in any doubt about how sponsors view this sort of thing then the statement from Bank of Ireland last week should have dispelled them for you. "As a sponsor of Ulster Rugby, Bank of Ireland is highly concerned regarding the serious behaviour and conduct issues which have emerged as a result of the recent high-profile trial. The bank has formally conveyed these concerns to the CEO of Ulster Rugby. It is of paramount importance to Bank of Ireland that our sponsorship activity aligns with and supports our core values, and reflects positively on Bank of Ireland through association". Some 20 years on from Tom Tierney's slap on the wrist, the IRFU have got the mother and father of digs in the head.